We use eDrawings® to create, view, and share 3D models and 2D drawings. Where is it in DraftSight ? 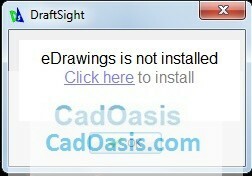 If eDrawings application is not installed on your OS then DraftSight will pop up this messages. Click on link in this message or go to This link & Download eDrawings Viewer for free. eDrawings is free software that lets you view and print eDrawings(eDRW, ePRT, eASM), native SolidWorks documents (sldprt, sldasm, slddrw) , DXF, and DWG format files. 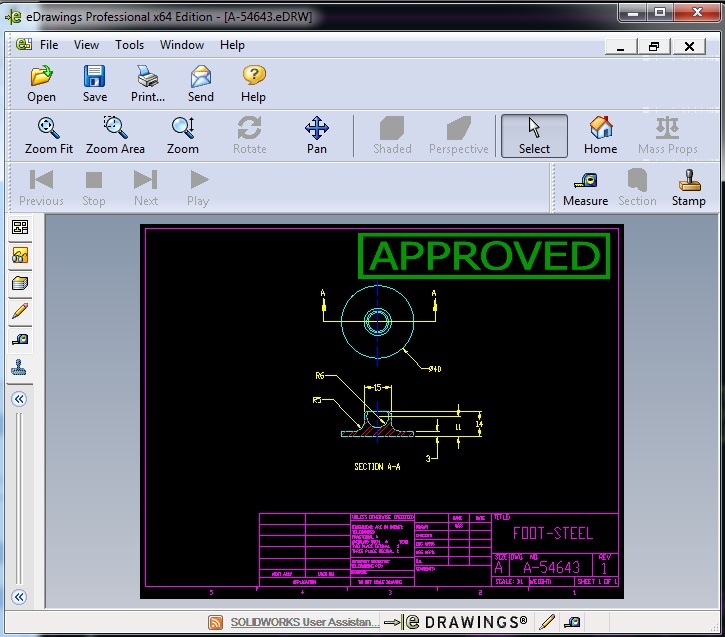 Once you have downloaded and Installed eDrawings then Go to DraftSight Open any Drawing file and run eDrawings command. It will open eDrawings application and you can view your file in it. eDrawings file format for DWG Files is ‘eDRW’ . Finally your DWG file will be published in eDrawings as below.